The C4 Corvette debuted in 1984 and in a few short years, Corvette Engineering started working on a ZR-1 “King of the Hill” super Corvette that would theoretically take on Ferrari, Lamborghini and all other European competition. Corvette Engineers would spend those years making numerous trips back and fourth to Lotus Motorsports in Hethel, England, in order to develop the ZR-1’s double overhead cam, LT5 engine. At the time, Lotus was a subsidiary of General Motors and Corvette Engineering didn’t feel that GM Powertrain had the expertise that Lotus did to develop a DOHC engine like the LT5. As a result, at least 25 ZR-1 prototypes were built in 1988 with various phase LT5 engines for real world testing. The surviving prototype below is wearing pre-production body panels in the rear which would become the ZR-1’s signature, rounded bumper. As an interesting side-note, at that time, Corvette Chief Engineer, Dave McLellan wanted the ZR-1 to have a more unique, distinctive body. Unfortunately, the bean counters at GM did not share his sentiment due to the cost. In an attempt to force the issue, McLellan required the ZR-1 to wear 315/35 ZR-1 tires on the rear in order to handle the power output of the LT5 engine. As a result, the rear bodywork of the the ZR-1 had to compensate for the larger tires, and became 3 inches wider starting at the middle of the doors; back. If you look at the rear-end of the ZR-1, you’ll notice two black spacers – one on each side of the license plate between the reverse lights. Each space measures 1.5 inches. When GM was finished testing the ZR-1 prototypes, they hired an outside company in England to “crush” them. Unfortunately, GM didn’t take into account that “crushing” standards in other countries is different than it is in the United States. The company in England simply parked them in a dump and drove bull dozers over them, leaving them there to rot. Luckily, it was around this time that I started getting interested in the ZR-1 and was a member of an online chat group for ZR-1 owners back in the early 1990s. As I recall, one of the members, “Scott” was a pilot in the air force and stationed in England. He had heard about a Corvette “graveyard” and decided to explore. It wasn’t long before he realized exactly what that graveyard consisted of. 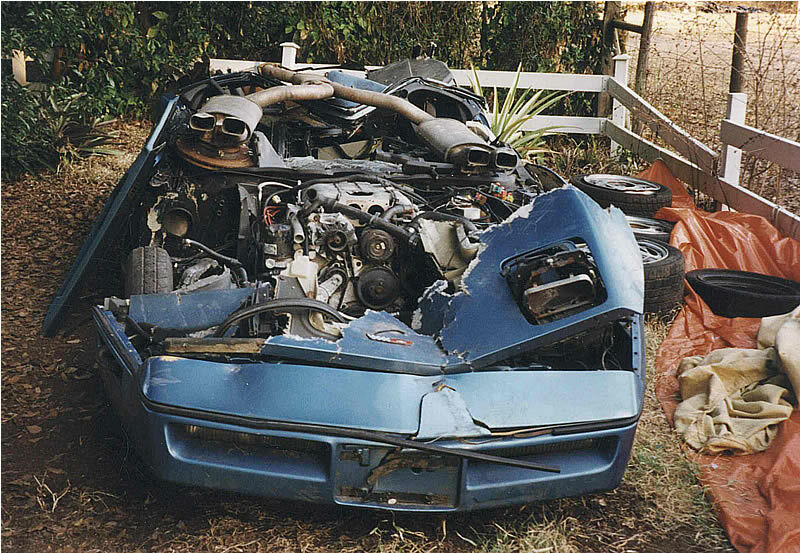 Most of the ZR-1 prototypes were destroyed beyond repair, but there were a “few” that were not beyond all hope. He had what prototypes, resurrected and shipped back to the United States. GM was NOT happy about it, and as rumor had it, “Scott” spent several years hiding the ZR-1 prototypes in various barns across the U.S. All kinds of stories and rumors were floating around the email chat groups at that time regarding GM “strongmen” showing up on people’s doorsteps inquiring about the whereabouts of the prototypes. Eventually, the prototypes were painstakingly restored and GM backed off their hunt as I recall. A couple of them have made their rounds around the Corvette show circuit such as Corvettes at Carlisle in Pennsylvania. To read more about the history of these prototypes, visit our C4 Corvette ZR-1 Prototype Center here at the Corvette Action Center. 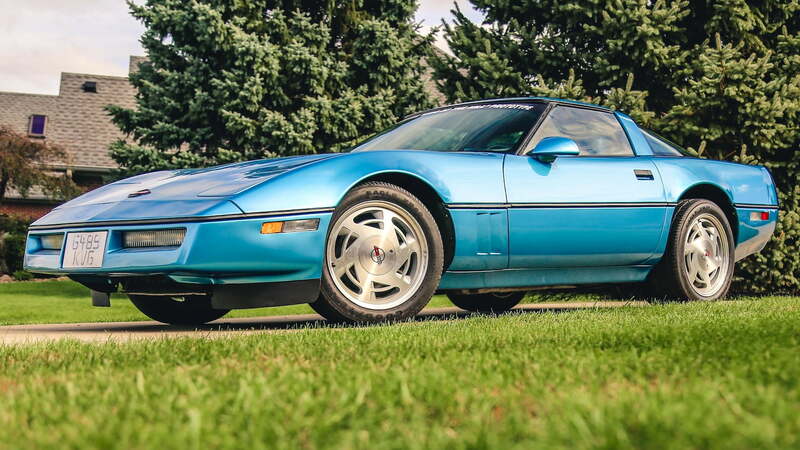 This 1988 Chevrolet Corvette occupies a special place in the Corvette community as one of only two surviving factory “King of the Hill” ZR1 prototypes. It is one of 25 built in July 1987, before the Corvette team decided to resurrect the ZR1 moniker first used on its race-ready 1970 namesake. Bearing engineering data-tag EX5023, the car was used as a development mule at Lotus Cars’ Hethel works in England for engine calibration and emissions certifications, and it was later tested at General Motors’ Milford Proving Grounds. 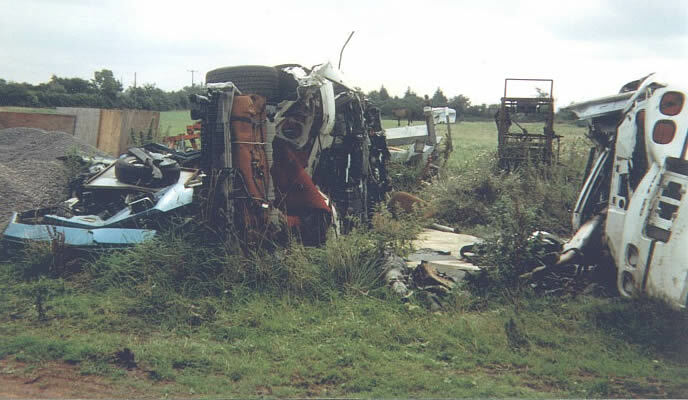 Following standard practice for prototypes, General Motors ordered the car scrapped in 1990; instead, somehow, it was abandoned in an auto-recycling yard, where it remained for years before it was discovered and identified by the man who would undertake its painstaking restoration. At the time that began, the original frame, suspension and most of the body tub were intact, but the roof needed repair. Fiberglass body panels and a portion of the rear upper surround were sourced from a 1989 pre-production Corvette to complete the essential structure. The heart of the second-generation ZR1 was its LT5 engine, a 5.7L 32-valve DOHC all-aluminum V-8 designed by Lotus Engineering and built in the U.S. by Mercury Marine, and in this case, a refined Phase II version, the 43rd LT5 built. Like all production ZR1s from 1990 to 1995, this prototype is fitted with the CAGS-controlled ZF 6-speed manual transmission. Finished as original in Medium Blue Metallic, the car received an all-new bright blue leather interior in 2017, the only exceptions being the original console plate, power key and a special original detail: an 8,000 RPM tachometer that was not available on production cars. Featured in Anthony Young’s “Heart of the Beast: History of the LT5 V-8 and ZR1 Corvette,” the car wears 17×9.5-inch front and 17×11-inch rear aluminum ZR1 prototype wheels fitted with insanely rare experimental Goodyear Gatorback tires with the words “Not For Sale” molded on the inner sidewalls. Shown at the 2010 C4 Gathering at the National Corvette Museum, this historically significant ZR1 prototype comes with the factory build sheet and handwritten engine book from Lotus. previous Double Your Chances! 2017 Corvette Dream Giveaway - Ends 12-31-2017!